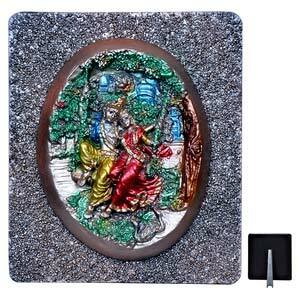 Gift your loved one this tabletop Lord Radha Krishna giving their blessings. 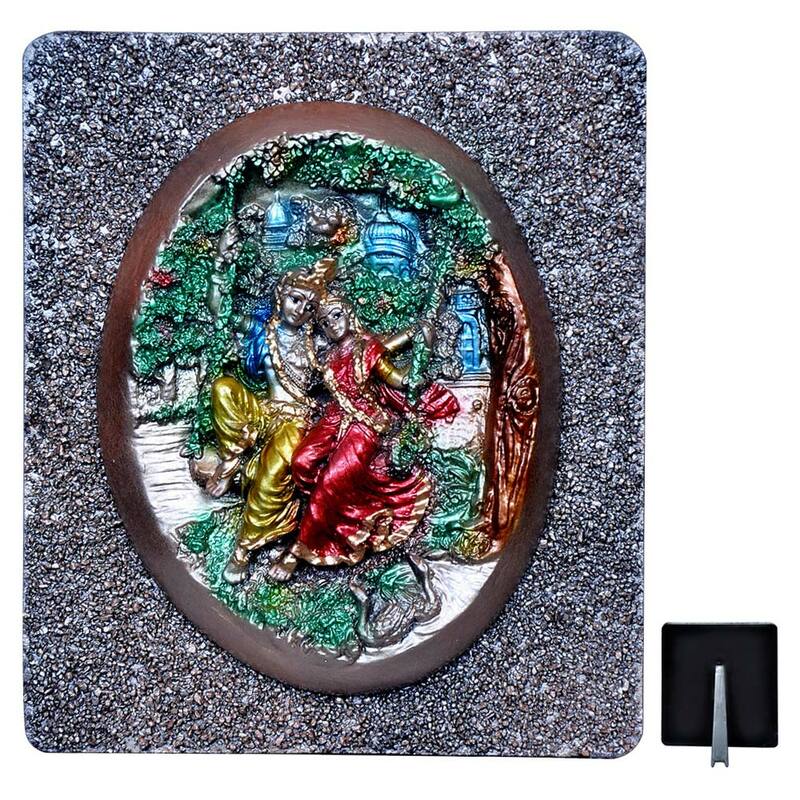 Handmade by our artisans using intricate moulds formed in wood and POP, the enticing art brings an auspicious look to this decor gift. Approx Dimensions: 8 x 9 inches.